Women and Technology: How Far Have They Come? Women have come a long way from the time when they were second-class citizens. More women are now in fields previously thought to be strictly for men. In fact, there has been growth in the participation of women in decision-making. In light of Women’s Day, which happened last March 8th, Google produced not just an awesome video celebrating women, but also the encouraging data that more women across all ages are using technology like Google Search. One of the areas that women are shining in terms of numbers, statistics, and newfound habits thanks the Internet, is in the use of the platform as a way to find information. According to this infographic produced by YourStory.com, women are 4x more interested in “Beauty,” 3x more interested in “Fashion,” and are outpacing men in using search engines for “Food and Entertainment” by 3x. Also, women are 2x more likely to be interested in “Health and Fitness.” This implies that women are an important market for these fields. More than that, the statistics that more women are using search engines, especially Google, for their information needs, shows a better technological competence at using the tool. In short, the statistics seem to imply that more women are tech-savvy at Google Search, and possibly even Social Media. Or maybe it just means that more women are interested in finding out about their interests from the Internet. In any case, the growing statistics are encouraging: More women are savvy enough, educated enough, and smart enough to use the new tools available to them. In more important statistics, this UN Fact Sheet shows that girls and women are growing in greater numbers in terms of education: More girls are going to school and performing better in it than boys. News that’s encouraging, indeed. Beyond using Search tools and Social Media, though, there are more pressing matters that need a greater participation of women. For instance, women are still the minority decision makers, and there are less women in government than men, still. 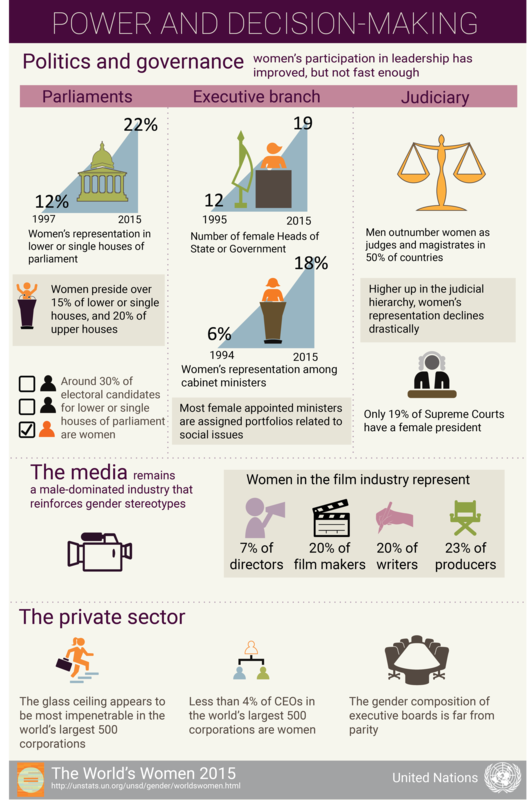 Across the board, whether in media or the corporate field, women are still underrepresented and the “glass ceiling” still exists, according to this infographic from the UN. 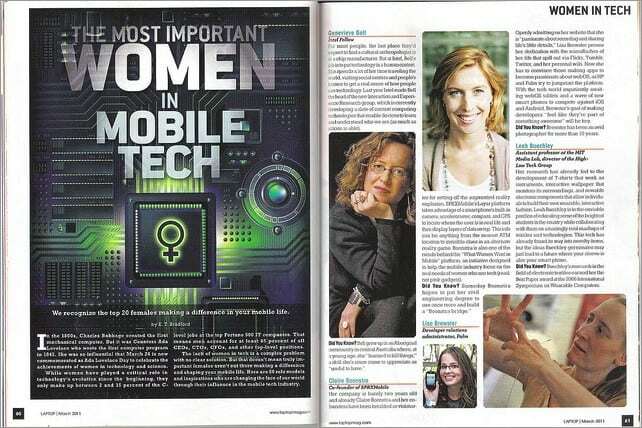 TheMuse also published an infographic showing that women are still a minority as movers and shakers in the Tech field. However, on the brighter side, the same infographic showed that women dominate as consumers, ergo, women dominate as the demographic with spending power, and the willingness to use that spending power. CNet echoes the analysis that more women need to work in the Tech arena, while TechRepublic echoes the fact that women are leading tech adopters, with numbers greater than men. 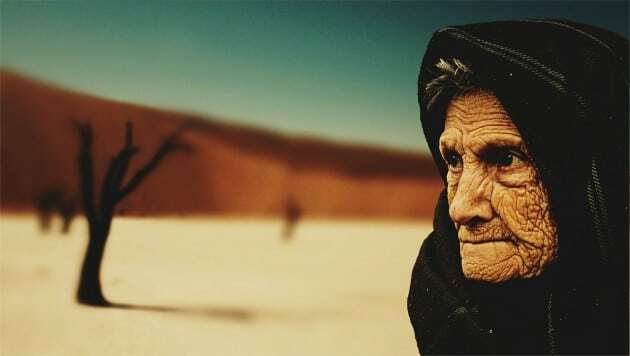 In short, there is still a vast divide of the quality of life for women in developing areas. In these countries, men are given more importance, more opportunities, and women remain marginal. The world, its movers and shakers, still have a lot to work on to uplift and empower women, in general. From these statistics, we can infer that more women are embracing their power as consumers, and are seizing the opportunities available to them in the form of education and available technology. From these statistics, we can also infer that the world has a whole lot of room to grow in ensuring that women have better quality of life. One thing that is undeniable, though, is that, while unstated via the statistics, is that when we as a global community work towards empowering women, we empower more than female individuals: We empower generations. Because as we empower the mothers, we empower their children, as well. So here’s hoping that tech companies from Google, to Facebook, to Microsoft, to Apple, and everyone in between, will work together with governments in creating this much-needed change for women. As it is, the baby steps and giant leaps for women are a welcome indicator of growth.